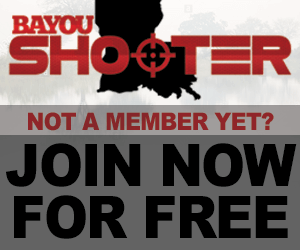 Bump for a valued member of the Bayou Shooter community & an awesome deal! Bump for a great deal on a nice rifle! PSA..look at today's specials $129.00. Would you be interested in the PSA AK47? Well made in the USA. Would you be interested in a sig 716 lnib with ubr stock installed ? Not sure now if we want to get rid of it. These sell for $1500+ without the upgrades we have, so your friend would just have to make offer. What is your price for the Ruger? Have a buddy looking for one. int in a ak ,all hogue zombie furniture,6 position stock and cash? Hey man. The page with the mak FT wll not let me respond for some reason. Just curious if you may have a cash price in mind. He came and purchased it. Sorry, my son really wanted the SOCOM. CM - just checking in... any movement?